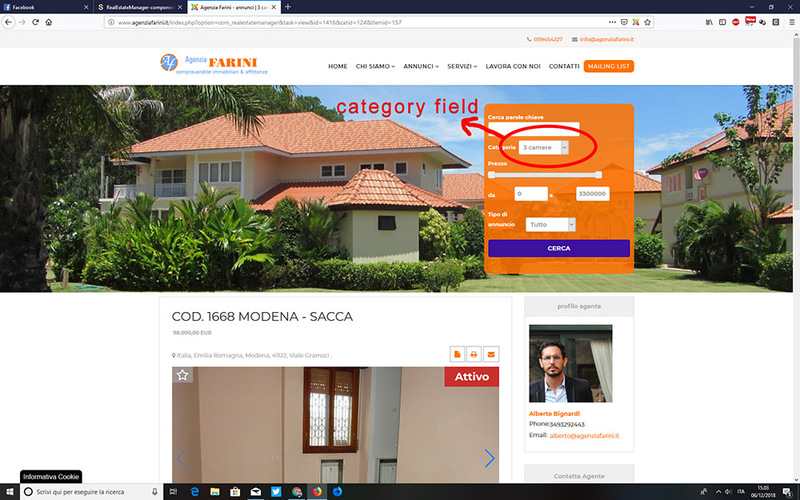 I designed a website (www.agenziafarini.it) where I load the search module in every page. The problem occurs when I click in one of the house. The field of the category in the search module keeps the category of the house I clicked. For example if I click a "2 bedroom" house, in the search module, the category will be set on "2 bedroom". It could be possible to "clear" that field? Just to avoid that any user could make another search only for that particulary category. Hope I was able to describe well my problem (I'm italian and my english is not so perfect). PS: I attach a pic hoping to help to understand better. I am sorry, another special ask this features.